Phoenix, AZ – March 27, 2018 – Broadcasters in Phoenix are working together to make next-generation television a reality in one of the nation’s most important over-the-air TV markets. 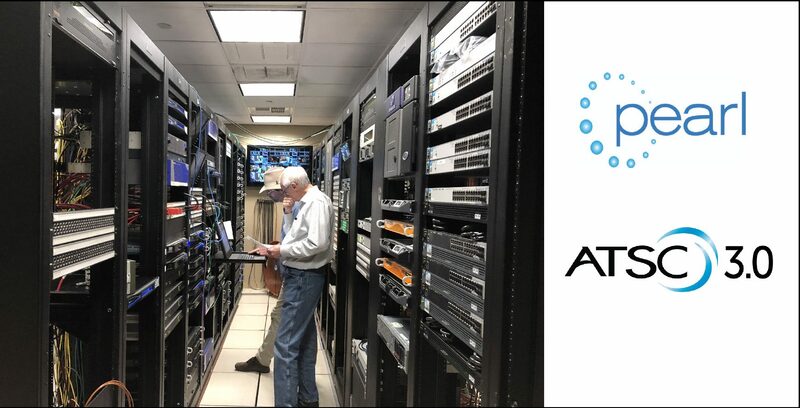 Preparations are now underway with the first broadcast equipment suppliers who are providing equipment that will soon bring next-generation TV powered by ATSC 3.0 to the Phoenix market. “We are delighted to announce the first group of technology suppliers who will help make the Phoenix Model Market a reality. This is just first round of key broadcast equipment vendors who are now at work to create an over-the-air ATSC 3.0. Phoenix is an open test bed environment and we plan work with additional suppliers as well as share our findings broadly with the industry,” said Pearl TV managing director Anne Schelle. Dielectric will supply its UT8D7F-3K filter – a 3 kW low loss, high-efficiency, 8- Pole, UHF bandpass filter for the Phoenix Model Market project. This filter is designed for any critical mask application (ATSC 3.0, ISDB-T critical, DVB-T critical, DVB-T2 critical) and is easily field-tunable. The Phoenix “model market” project will create an open test bed for the mutual benefit of all stakeholders in the TV ecosystem. The project has several objectives, including confirming basic TV service parameters and performance, determining the appeal of next-generation high dynamic range video and immersive audio content to consumers, assessing TV application features and implementation requirements, testing interactive and addressable advertising functionality, and determining consumer device and service appeal. Creating an end-to-end model system will help foster industry consensus and drive ecosystem development. This includes development of the ‘lighthouse’ concept to keep legacy digital TV available for all viewers while new ATSC 3.0 services are being launched.